The Buona Forchetta crew is doubling down in the neighborhood where it all started. 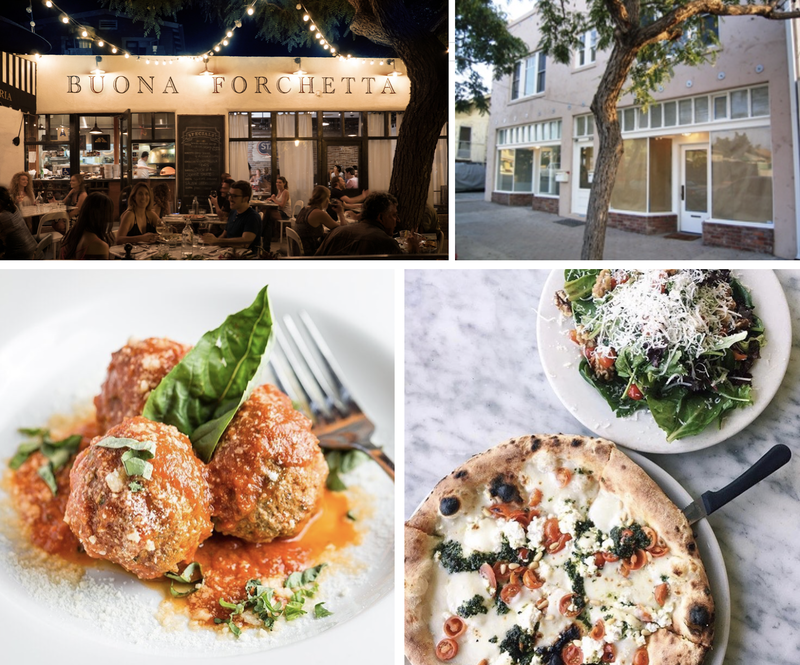 Heading into the 950 square-foot storefront down the street from the first location in San Diego's South Park is Enoteca Buona Forchetta, a quaint Italian bodega and bistro set to unveil next year. Buona Forchetta's award-winning South Park ristorante, which was opened by native-Italian Matteo Cattaneo in early 2013, has been packing the house since day one, so it is no surprise that a spin-off is being planned only two doors down. Not a "wine bar" in the traditional sense, the space will be modeled in the style of a classic Italian bodega with a marketplace offering fresh pasta, lasagna, dough and other specialty items for takeaway. Complementing the market component, a small bistro with a wine-focused menu will offer cheese and charcuterie plates, alongside a rotating selection of Italian wines. Ruland Design Group, which also speared the construction of sister-concept Officine Buona Forchetta, is leading the build out. Unlike the 200 seat Liberty Station locations of Officine Buona Forchetta that opened in 2016 and an with former-BiCE owner Mario Cassineri as a partner - Enoteca Buona Forchetta is a solo project for Cattaneo. The incoming Encinitas outpost of Officine, which is hoping to debut by year's end at 250 N Coast Highway 101 in the space that formerly housed Bird House Grill in the Leucadia area, is also an independent venture. Enoteca Buona Forchetta is projected to open at 3011 Beech Street in South Park as early as Winter 2018. For more information, visit buonaforchettasd.com.